This couple bought a one-story Cape Cod in Berwyn with retirement in mind. They wanted a home to “age in place” with one floor living where their family could gather in comfort. 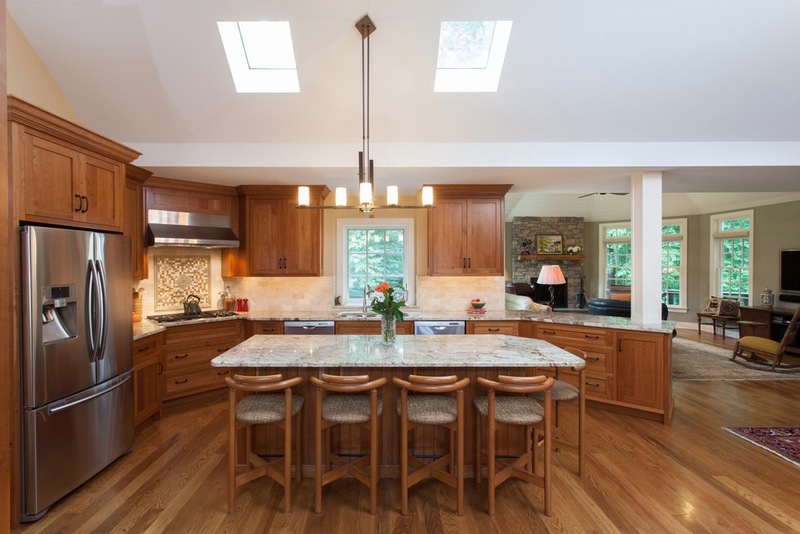 They wanted a great room with a large, functional kitchen. This was a complete remodel, both inside and outside. A second floor was added for more bedrooms.